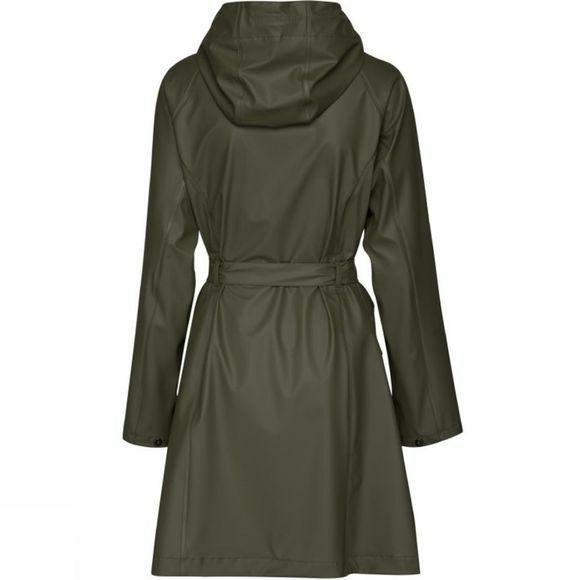 The Women's Rain70 Raincoat from Ilse Jacobsen is a lightweight and waterproof trenchcoat-style jacket. Functional and feminine, it features a longer length and an eye-catching belted waist for a flattering silhouette and generous hand pockets for carrying your essentials. 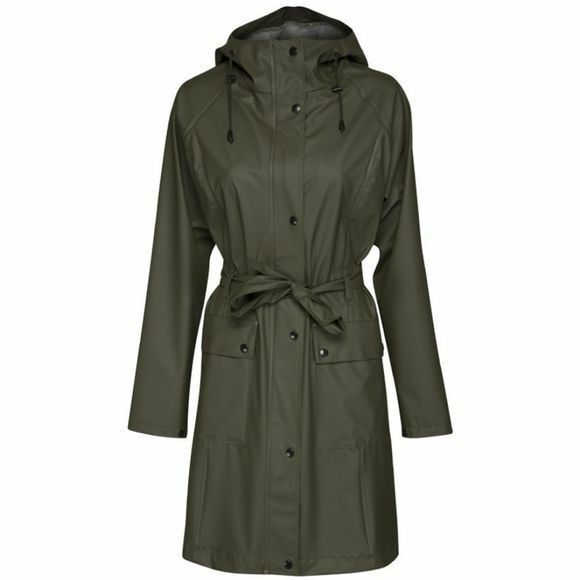 Made from quality PU coated polyester and featuring double-welded seams, this versatile jacket is perfect for keeping you dry during long work days, dashing between meetings or leisurely weekend walks. The 2-way full-length front zip and adjustable wrists with the smart button closure means you can choose how to wear and customise to your own style. The practical hood is easy to pull over your head in a hurry should you be caught by an unexpected shower.